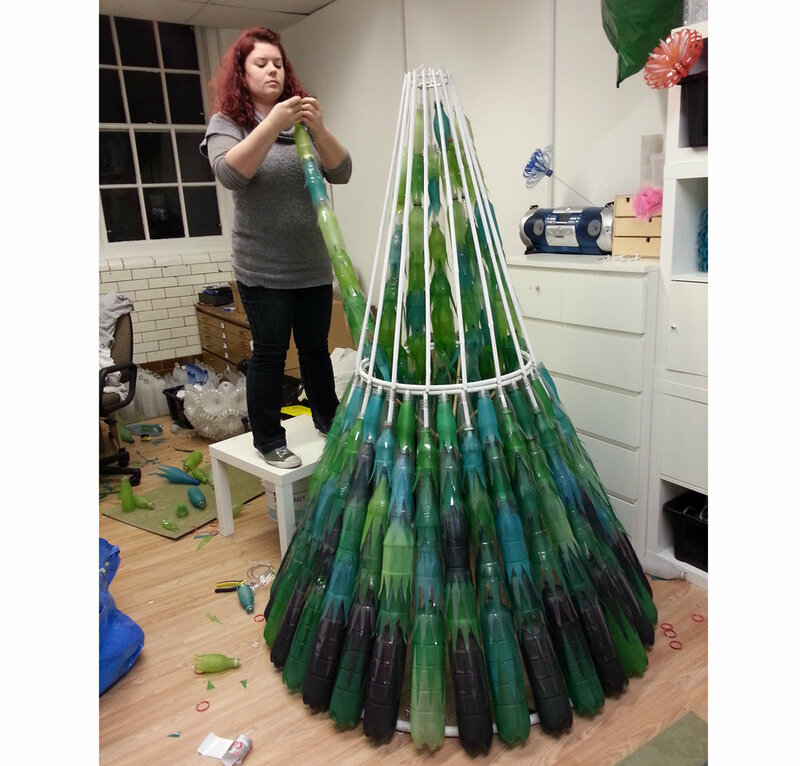 Sarah handmade this Christmas Tree from over 400 bottles. Each plastic bottle was dyed a different shade of green to create the main body of the tree. The star was made from two water cooler bottles cut into the festive star shape. The tree was commissioned by Falkirk Community Trust and was displayed in Callendar House to launch their annual Winter Warmth Exhibition. Gillian Smith of Falkirk Community Trust said, “Sarah’s designs prove that just because a product is made from rubbish it doesn’t mean it needs to look like it does! I’m delighted that this unique tree will launch the Winter Warmth exhibition at the Park Gallery." Sarah also gave a talk to the visitors and gave workshops to children from the local schools. 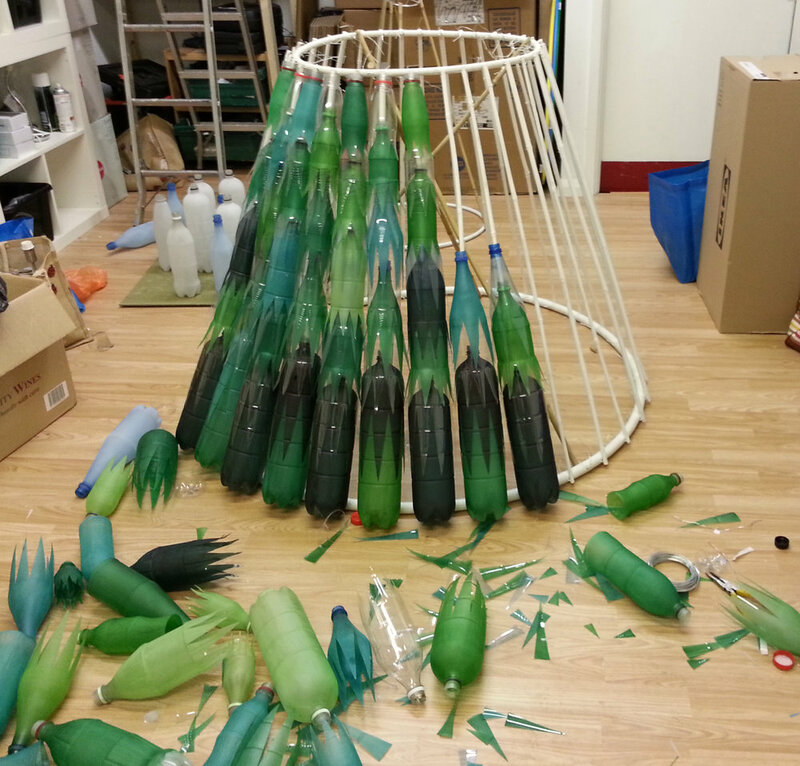 Each participant made their own Christmas decorations from waste plastic bottles. Sarah said, "The children amazed me with how creative and imaginative their ideas were. We had such a range of decorations beautifully made: stars, angels, snowflakes and even a jolly Santa!" The Falkirk Trust plans on displaying the tree each year so keep an eye out for it next year! A video of the tree being made is on YouTube, please click here to view it.